So you want to go to Hana. 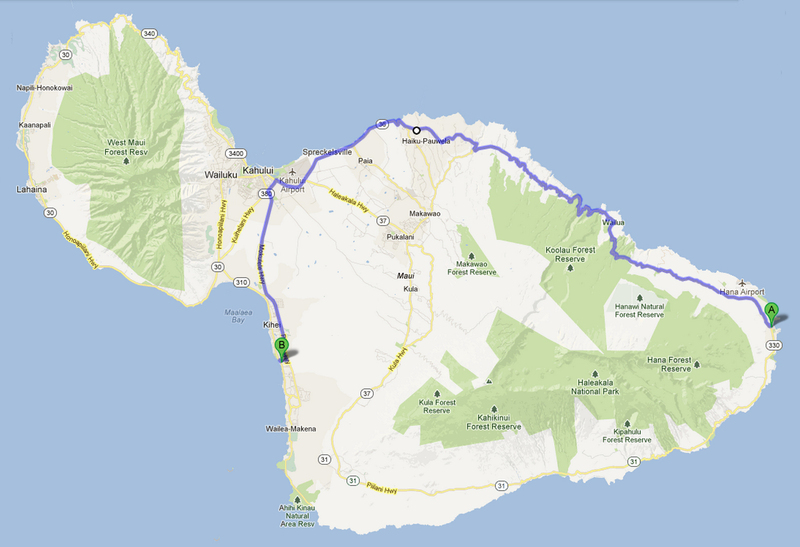 It’s only 60 miles from Kihei to Hana but a round trip will take all day. Why? The last 40 some miles of the Hana Highway has over 600 curves – many of the hairpin turns – 46 one-way bridges, sometimes a lot of traffic, and many beautiful things to see along the way. Average speed is about 20 mph. That’s why it will take all day. Tips: leave early (think sunrise) and plan on getting back after dark. (A moonlit night is nice.) Stop at lookouts and waterfalls so the driver can enjoy the trip. Share driving. 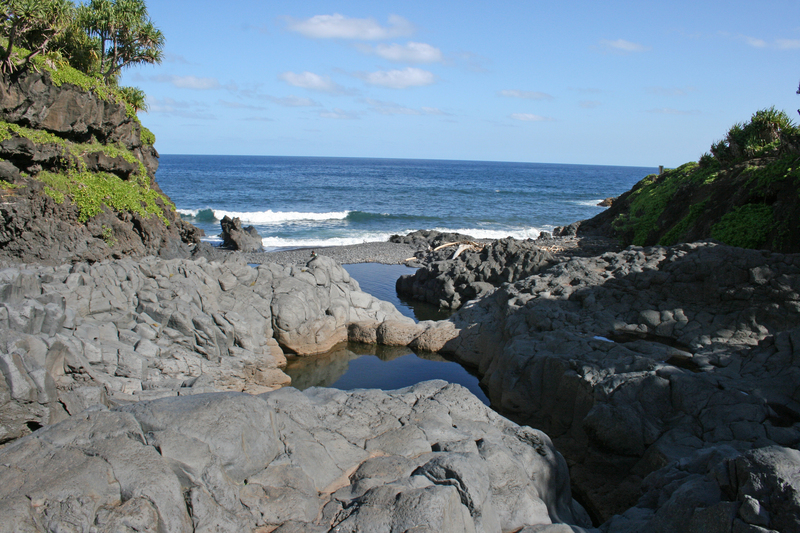 If you can, spend the night in Hana or at the campground in the national park. Oh yes, if you’re prone to motion sickness, take meclizine before you go. The trip to Hana is about the journey, not the destination. The town of Hana is nice enough – you can get lunch there, buy some really expensive gasoline, maybe pick up a souvenir or two – but that’s not why you go to Hana. You go to Hana because of what you see along the way. 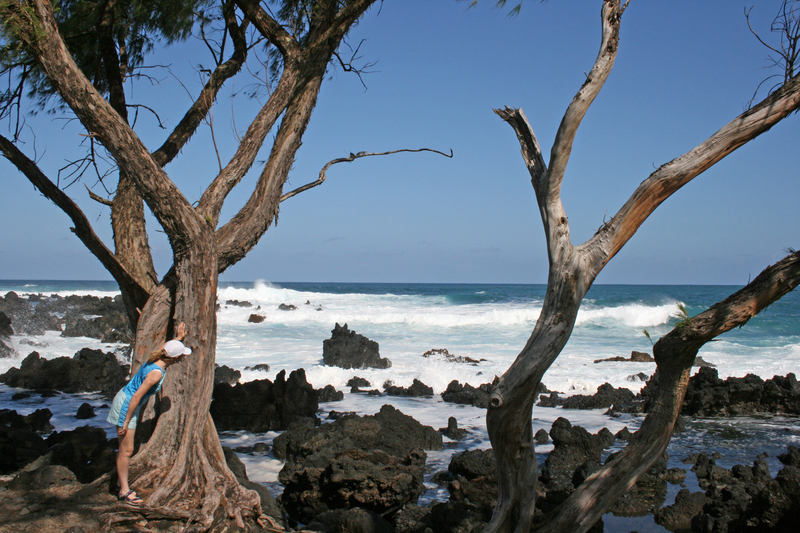 About halfway between Paia and Hana is Kaumahina State Park. It’s well signed and conspicuous on the mauka (uphill) side of the road. In addition to a fine view of Nua’ailua Bay and the Ka’anae Peninsula, it has some of the only public restrooms before you get to Hana. Two good reasons for a stop. A side trip onto the peninsula makes a pleasant stop to admire the old stone church, stretch your legs and watch the surf. 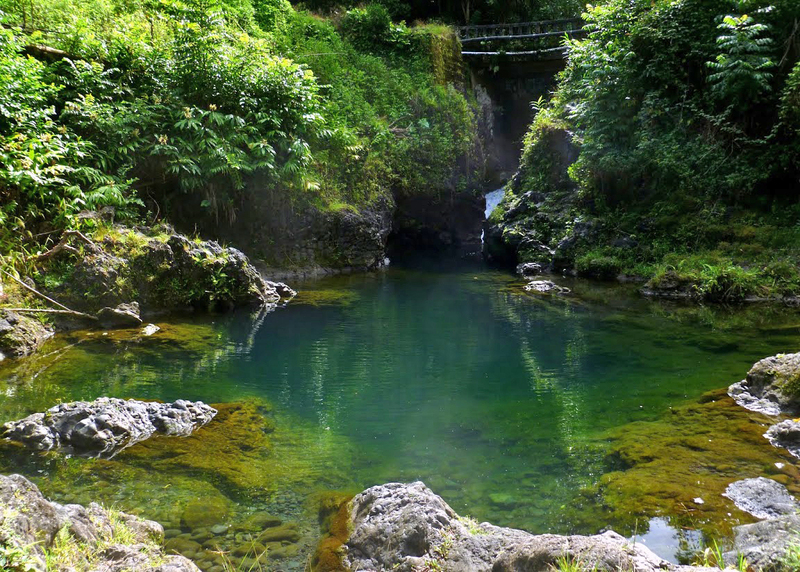 Inland from the Ka’anae Peninsula is Ching’s Pool and bridge. Very picturesque and a popular place for daredevils to jump from the bridge. The bridge is much higher than it looks in this picture and they say there are rocks in the vicinity where you might land. Jumping is NOT recommended. 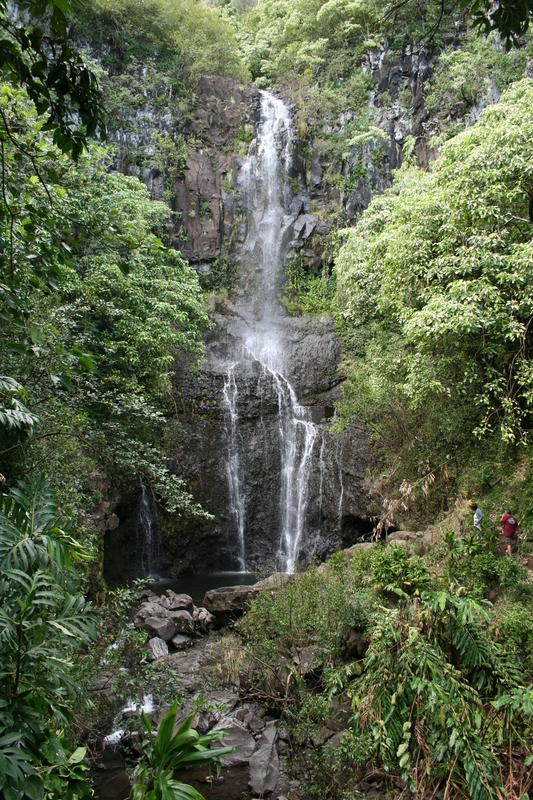 Wailua Falls is a popular stop – not least because it’s right beside the road. Past Hana is Koki Beach with a nice view of Alau Island. Once you’ve gone this far a trip to Ohe’o Gulch (aka The Seven Sacred Pools) in the Kipahulu portion of Haleakala National Park is worth the extra few miles. There’s a great hike from here too. 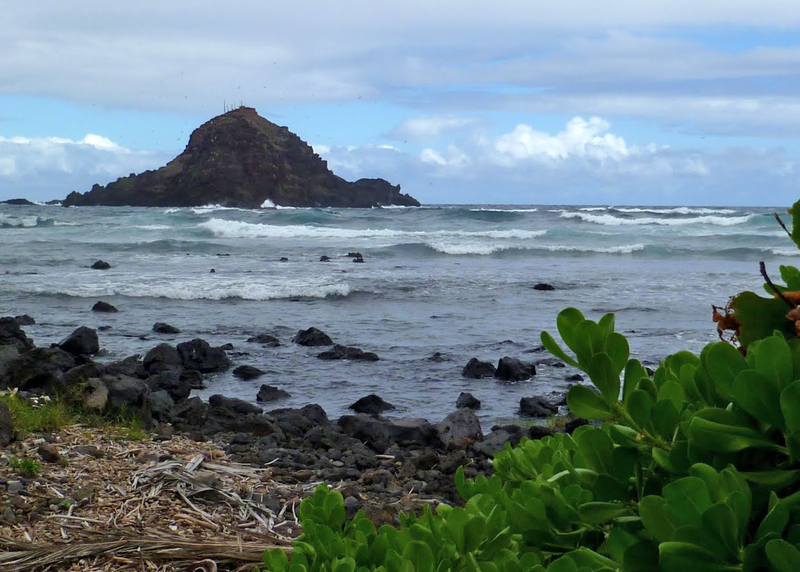 See our post Hana – Ohe’o Gulch and the Pipiwai Trail. 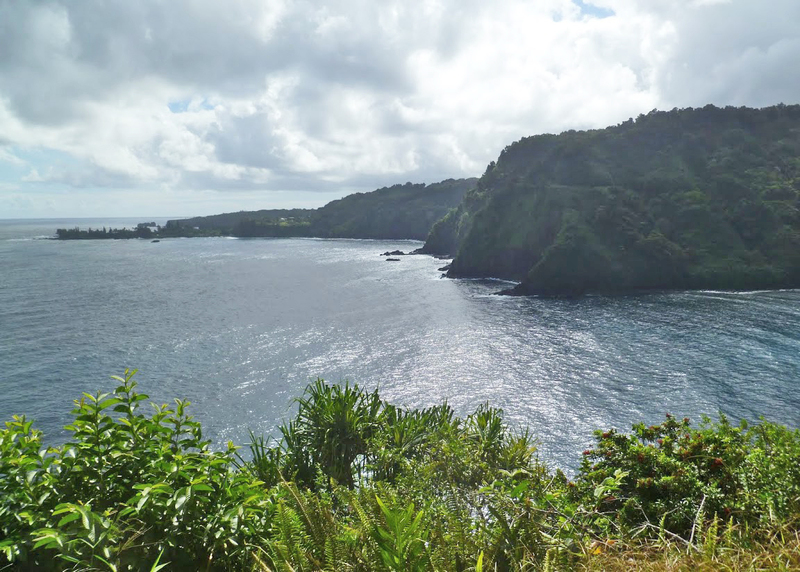 For an alternate route to or from Hana see our post Hana – the Road Less Traveled.